Tap the route button at the bottom of the screen. 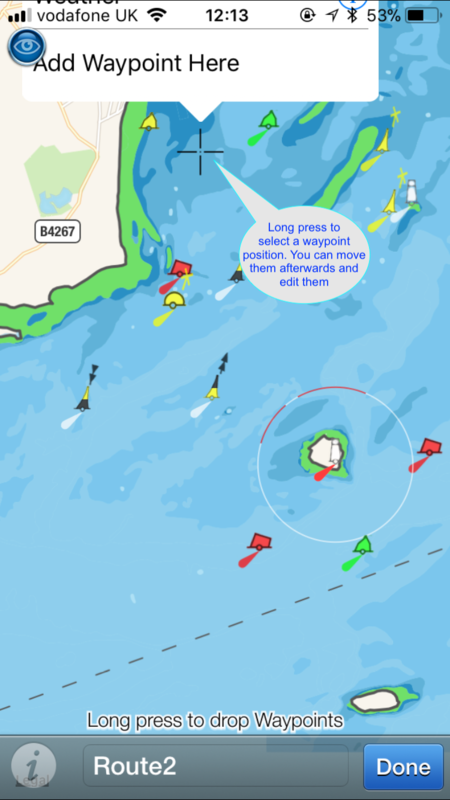 Long press on the chart where you want to add a waypoint and tap “Add Waypoint here” on the popup. And a third and as may as you want and then tap Done when you have finished. You can move the waypoints you have already added using a long press on one to select it and then dragging it to the desired position. 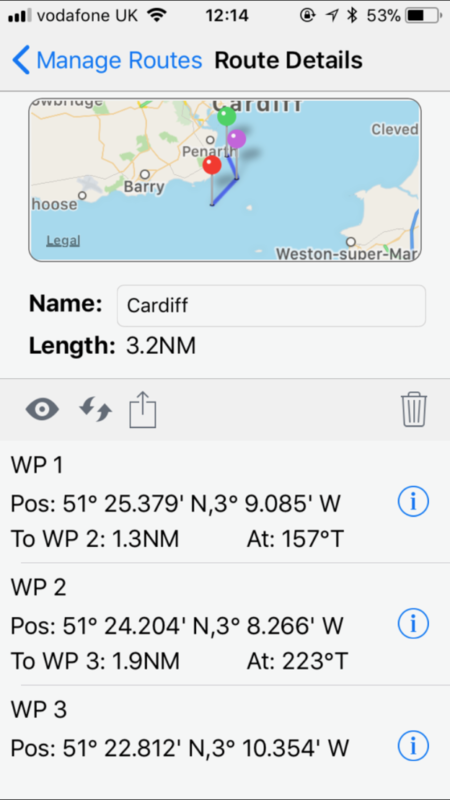 You can also edit the exact position (latitude and longitude) later in the Manage Routes view. After pressing Done the route will be shown on your chart. 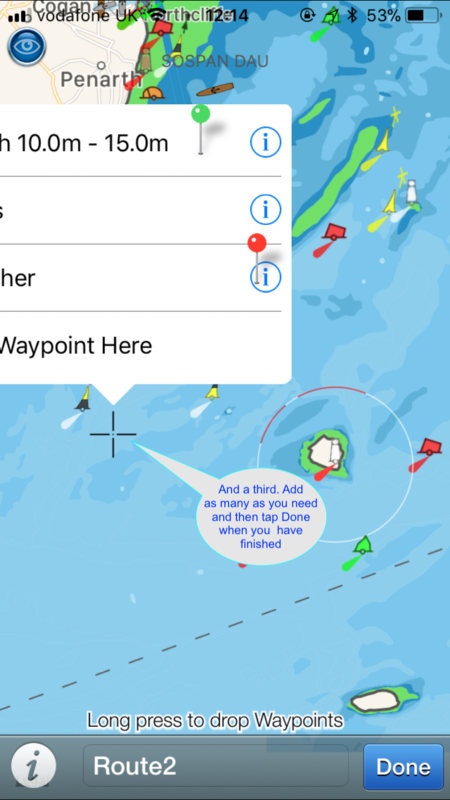 You can then start sailing the route or tap the Route icon again to Edit or Manage your routes. 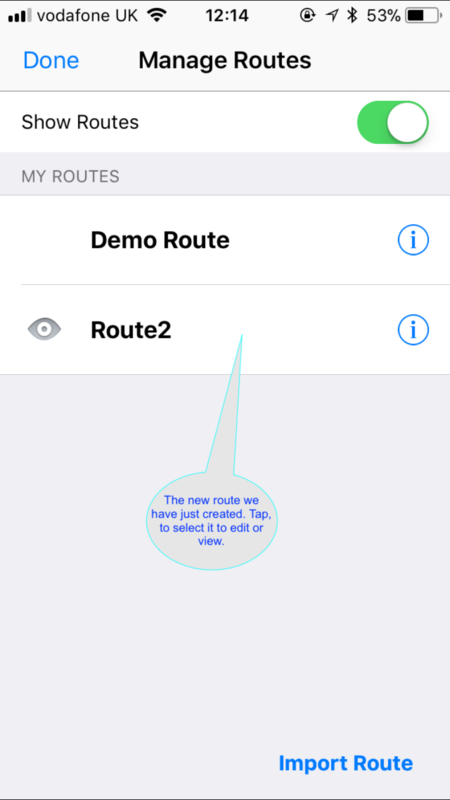 Tap Manage Routes to see all your routes and select a different one of manually edit the current one. 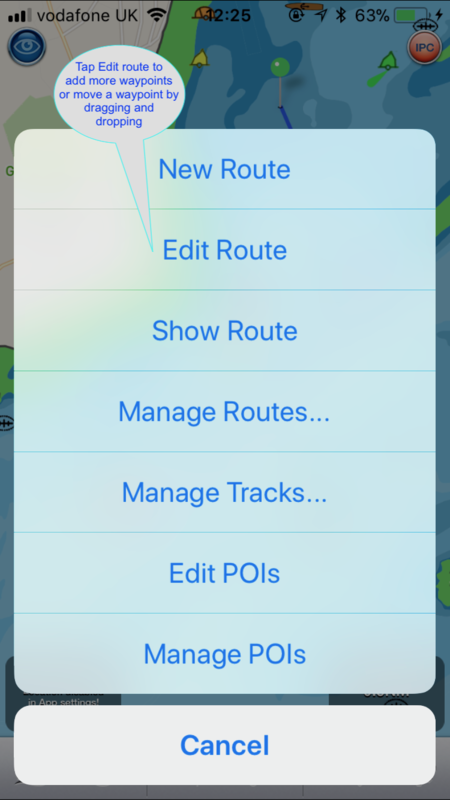 This view also lets you export the route via email or dropbox to share with others, keep a backup or share with your iPad or Mac (tap the box with an arrow going upwards from it). 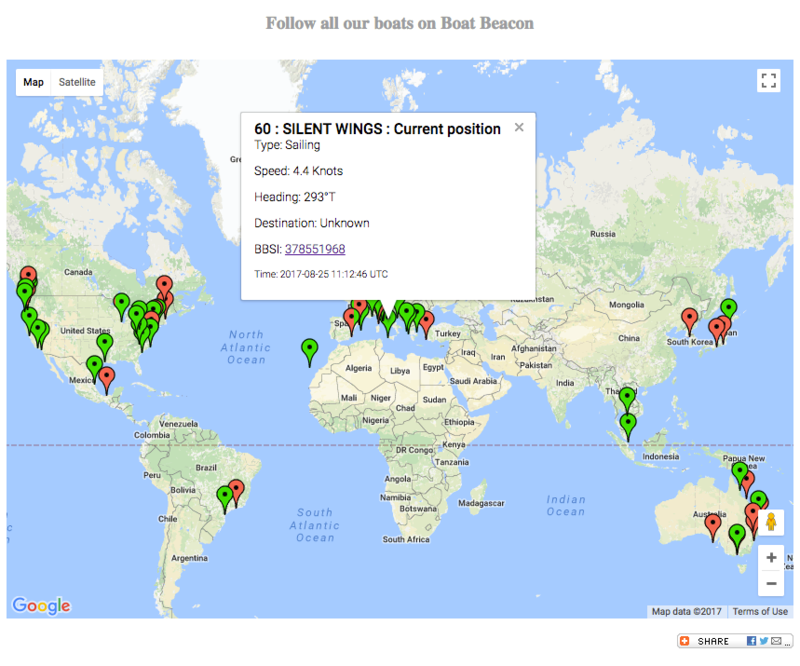 Boat Beacon allows folks to share their position and course in real time with other users and folks back home using just their iOS or Android device. Their position is also visible on other internet based AIS tracking services such as SeaNav and our free Boat Watch app and the very popular MarineTraffic service. Use your VHF assigned MMSI number or request a free internet AIS MMSI through us to be visible on the public AIS internet services. 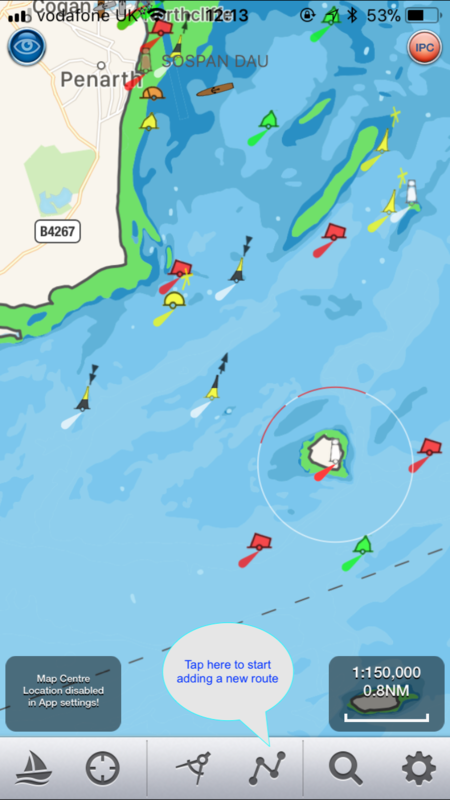 A lot of the CoastGuards use MarineTraffic so you can be visible on their systems too. 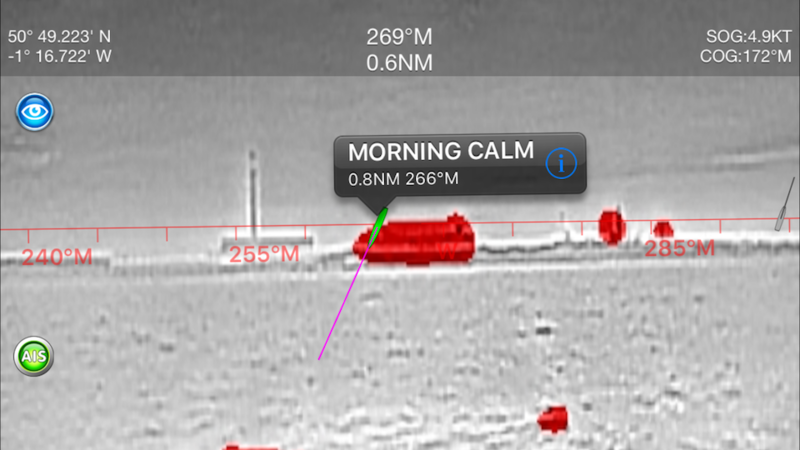 For instance Boat Beacon is used by the Australian Voluntary Coast Guard for automatic tracking. 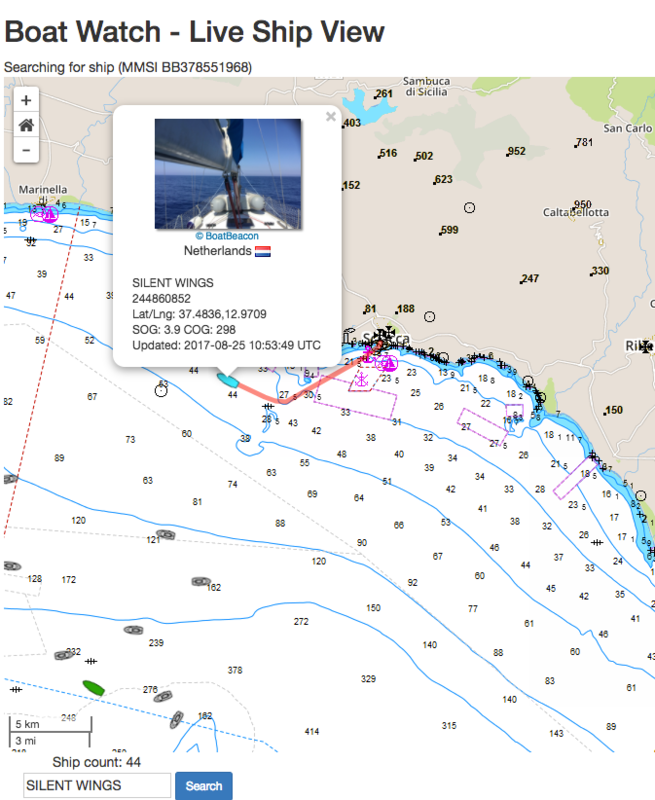 Clicking on an individual boat shows more details and you can also use view their track (layer control top right). Our Boat Beacon app also tracks all the boats and ships around you in real time via internet AIS and uniquely provides proven constant collision avoidance detection, even in the background. 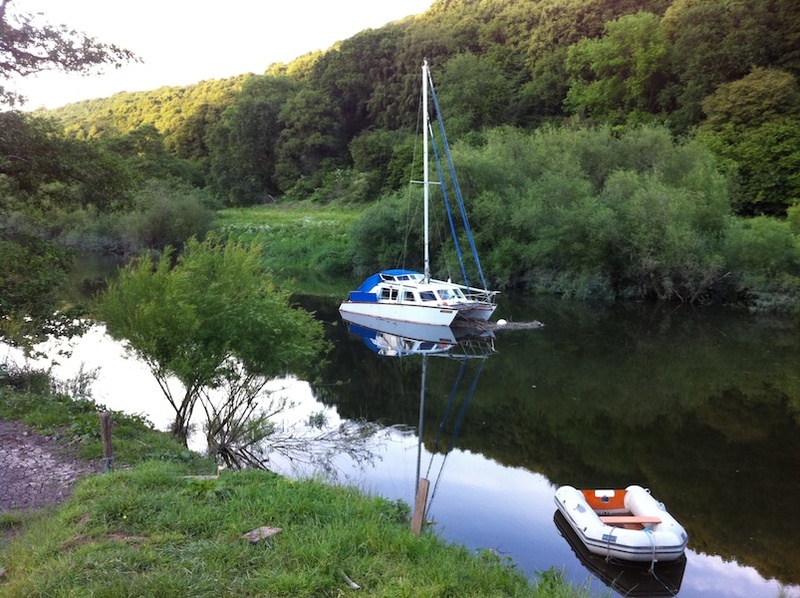 Other popular features in Boat Beacon are our AIS augmented reality view, anchor alarm, theft alarm and MOB features. 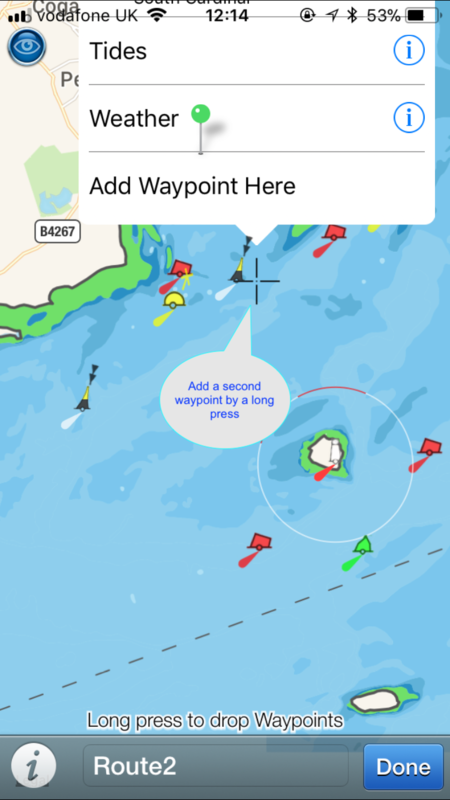 Boat Beacon is available now in the App Store for iPhone and iPad and in the Google Play Store for Android phones and tablets.